Is Naomi Klein Right That We Must Choose Between Capitalism and the Climate? We have metaphors (involving glasses of water and loaves of bread) for the proper way to think about a situation that lies halfway between getting everything you want and getting nothing. In a way, Paris presents a situation like this, a compromise measure that is clearly better than nothing but just as clearly insufficient. It’s worth noting that every marker of historical progress could be accurately lambasted as a half-measure. The Constitution, the Emancipation Proclamation, the major programs in the New Deal, Obamacare: They all came later than they should have, did less than necessary, and compromised their objectives to preserve their political viability. Paris follows a long line of social breakthroughs in this mold. Perhaps this reflects my optimism, but I see the emerging agreement in more hopeful terms. I argued in a longer story a couple of months ago that the world is in the midst of a clean-energy revolution. 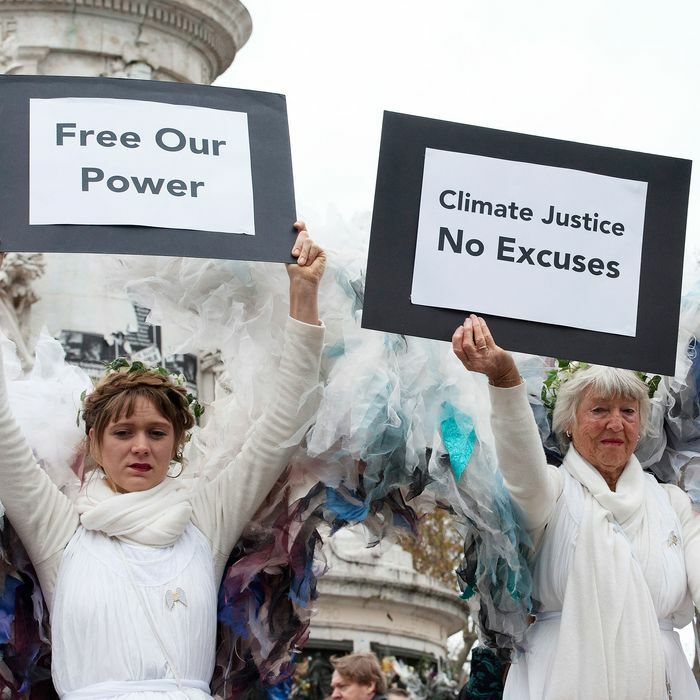 The Paris agreement represents just one piece of that revolution, but a significant one. After all, the world is now successfully designing a mutually agreeable framework for global emissions reductions, the very thing it failed to do six years ago at Copenhagen and in every previous effort. It’s succeeding now in part because it developed a more flexible and clever political structure, using voluntary, nonbinding pledges rather than a formal treaty. This framework has many benefits, the chief one being that it does not require a vote in the U.S. Senate, where the Republican Party and a handful of coal Democrats oppose any constraints on the dumping of carbon into the atmosphere. It’s vastly easier for political leaders to commit to switching to cleaner energy technologies when the cost of doing so is low. Political willpower to reduce emissions, and the availability of technologies to do so, feed off each other. When governments signal their intention to reduce emissions, the market supplies more (and better) solar panels, wind turbines, energy-efficient cars, appliances, and so on. 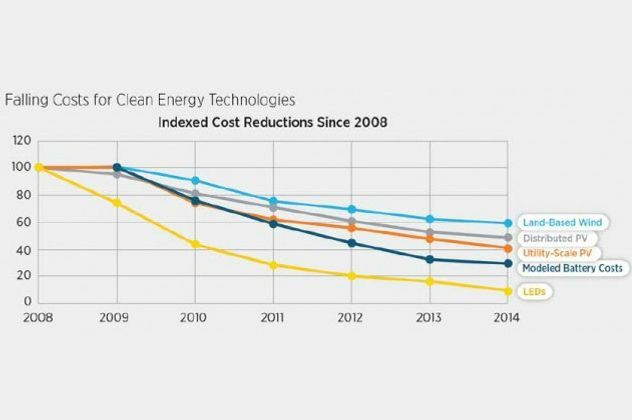 As green energy gets cheaper — and, not incidentally, gains a larger economic foothold — it gets easier for governments to promise further emissions reductions. 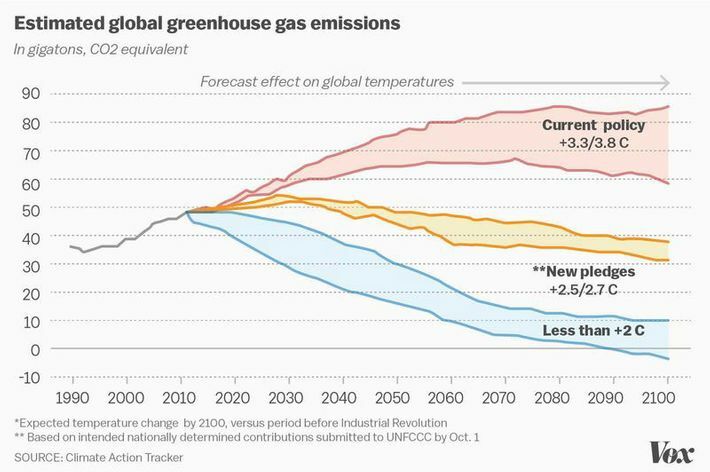 Just as reducing emissions is easier today than it was six years ago, reducing them further will be easier in six years than it is today. The explicit hope of the Paris negotiators, in the Obama administration and elsewhere, is that the deal leads to future negotiations that progressively ratchet emissions downward. It is not merely reasonable to expect that they can do so. It is unreasonable to believe they cannot.